A sheep from the Trossach’s which does not actually belong to Penny but does wander around her garden and Cottage Holiday Let as it is open to the farmer’s field. Categories: animals, Art Prints to Buy, Paintings to buy | Tags: diane young artist, diane young painting, diane young stroud, painting animals, sheep painting, trossachs sheep | Permalink. Having mainly focused on birds this year with my painting I fancied engaging more directly with my subject matter by trying out some bird watching. 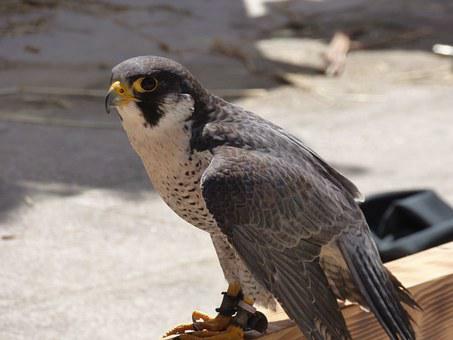 Symonds Yat in Gloucestershire is known to have a successful breeding pair of Peregrine falcons. The first reward for me was not seeing a Peregrine but instead two Nuthatches up close and snapping some half decent photos. Luckily for me some time later I happened to have in sight the take-off point from which one of the Peregrine Falcons took to the wing and soared out across the Wye Valley below us. There was a nice atmosphere between the regular birdwatchers who enthusiastically share information. It was nice to get there early before the throng of tourists and walkers poured in nearer to lunchtime, and needless to say that is when I snuck away. Peregrine photo below is courtesy of Pixabay images. Categories: Birds, General articles | Tags: bird art, Bird watching, falcons, nuthatch, Peregrine, peregrine falcon, symonds yat | Permalink. So When is a Painting Actually Finished? When it has made it to the bin? Hopefully not. I have ready many tips on this and this one sums it up in a great way for me. Easy to say;, but hard to (cockadoodle) do! Categories: animals, Birds, General articles, Hints & Tip Painting & Drawing | Tags: cockerel painting, diane young artist, diane young painting, finishing a painting, rooster painting, Work In Progress | Permalink.